Salmon and other fish that are high in omega-3 fatty acids contain a vast number of health benefits, so they're great for seniors to eat no matter what. Omega-3 acids are considered good fats, which should replace saturated and trans-fats for healthier meals. Fish and other foods high in omega-3s can help lower a person's risk for heart disease and dementia, and can reduce the amount of bad cholesterol in his or her blood. What's great about beans is that they're high in fiber. Beans, oats and other fibrous foods actually slow down the absorption process of cholesterol during digestion. They'll help your client's body remove some cholesterol as waste, rather than absorbing it into the bloodstream. 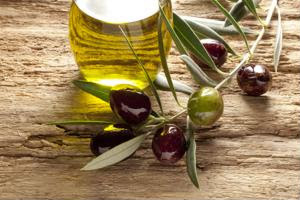 Replace butter or fatty salad dressings with extra virgin olive oil. Extra virgin oil contains a lot of antioxidants, and it'll lower bad LDL cholesterol while pretty much leaving good HDL cholesterol alone.